I finally ran outside this morning. We got a dusting of snow overnight, so I was a little anxious about my footing. 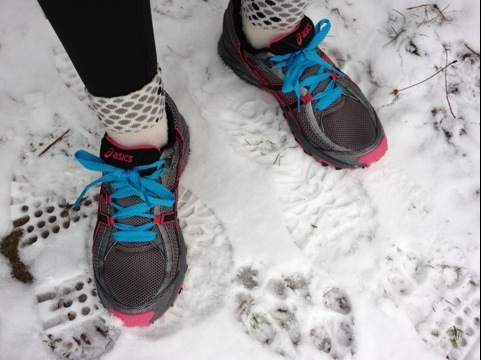 I think it’s going to take a season if running in the snow to really get used to it. I was excited to wear my newest piece of running gear, my Under Armor tights. Last time I ran outside, my poor legs were still cold in the shower after (boy is that a weird feeling–warm water on cold legs! ),so I announced to Andrew that maybe some thicker running pants were in order. You know, since we live in Buffalo now. These trail runners came with long, thin, round laces and they didn’t stay tied very well, so I used this as an opportunity to brighten them up. LOVE the result! And man am I glad I had I had those shoes! 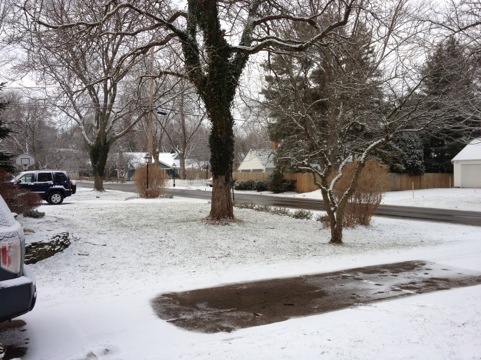 For about half my run I was on snow-covered sidewalk, which felt a little like running in sand, so I was thankful for a little traction. I can’t imagine running in my regular shoes…I would have been sliding all over the place! That, and the slush would all but destroy them in a few short runs, so I’m really happy I ended up with these. Verdict on the tights: my legs were definitely a bit warmer, during and after the run, but it also wasn’t completely frigid outside. I think a colder morning will have to determine their “cold gear” abilities, but I’m happy for an additional pair regardless. Posted on January 26, 2012 February 27, 2016 by thehealthypineapplePosted in i ♥ runningTagged snow, under armour. I actually HAVE LLBean long underwear, but my running tights are too tight for anything to go under them. 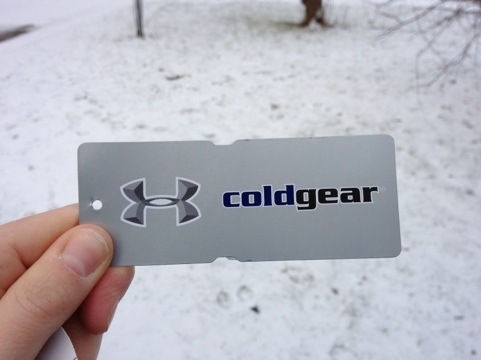 I actually ended up getting a “cold gear” pair from Under Armor, and they seemed to keep me a little warmer.